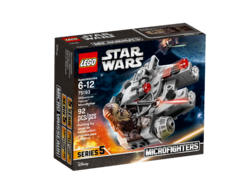 75193 Millennium Falcon Microfighter is a Star Wars Microfighter set released in 2018. 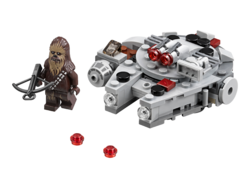 75030 Millennium Falcon, a Millennium Falcon featuring a Han Solo minifigure and Original Trilogy design. 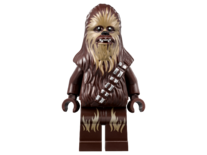 Facts about "75193 Millennium Falcon Microfighter"